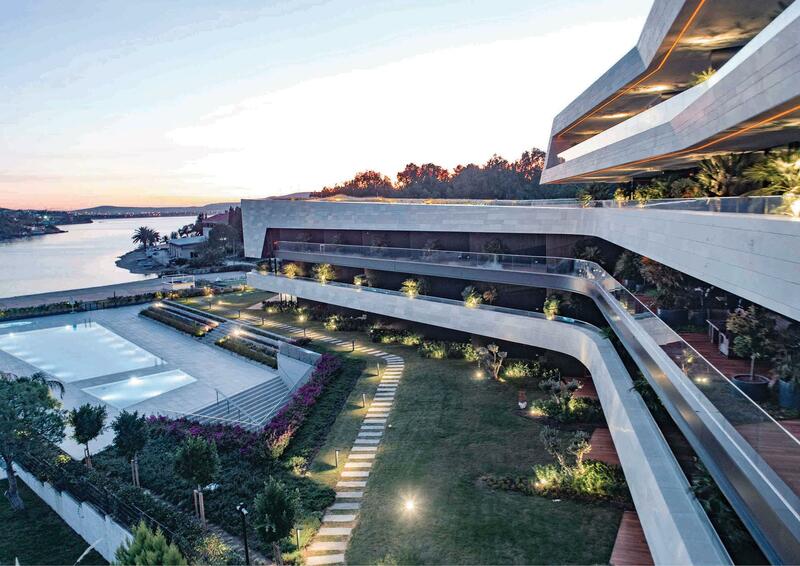 Folkart Blu is located in Izmir on the beautiful bay of Paşalimanı. The design approach is based on using the north wind, which dominates in summer, as air conditioning, and aligning units from all directions to face the sea. For this purpose, the building was formed around an air-conditioned courtyard. The blocks were divided vertically and horizontally. Glass and stone are the materials that directly shape the space and the description of the shape, and materials directly shape the mass. An elegant design in which regionally-sourced sandstone forms a harmonious whole in combination with the dynamic, contemporary architecture. A superb design solution that convinces through its high interior and exterior architectural quality. Durmuş Dilekci Participated as a Speaker in The Bursa Archifest Event Organized by Bursa Chamber of Architects on 28th of November 2018 .